Doraemon is a cute robotic cat who travels back in time! Doraemon also has a fourth-dimensional pocket on his body from which he can acquire various colorful, awesome and futuristic gadgets. Doraemon is always ready to help others! 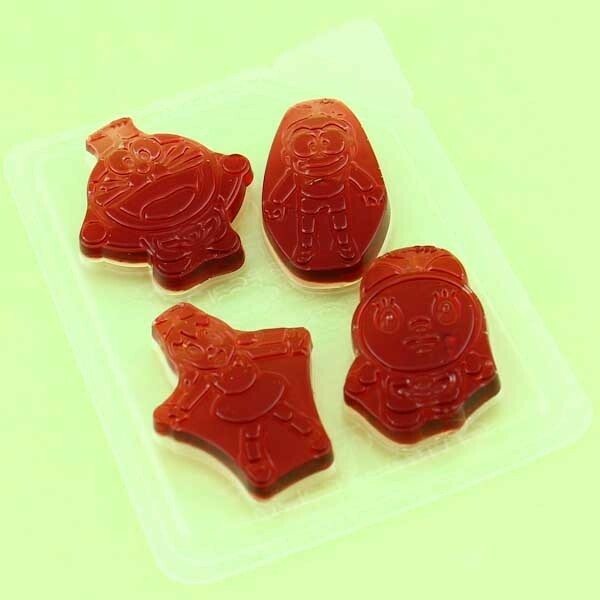 The gummies are shaped as characters of Doraemon and his friends, and taste like fresh grape juice! Each package comes with 4 pieces of candy. 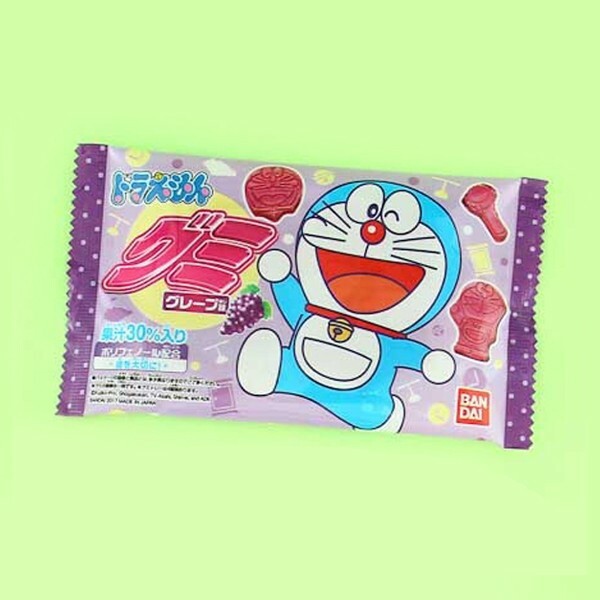 Doraemon cummy candies with fresh grape flavor!